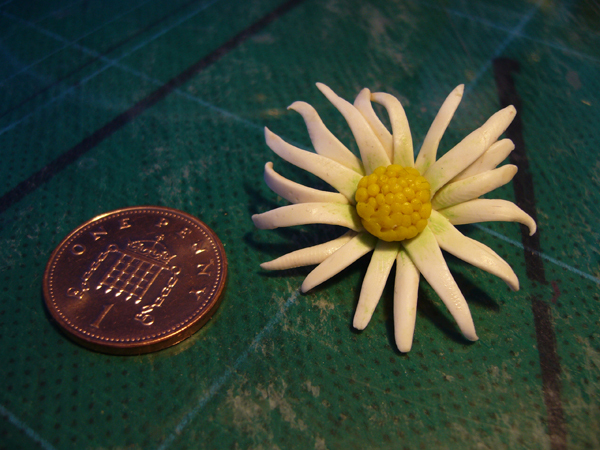 An attempt to make a Fimo field daisy, but it looks more like a marguerite. 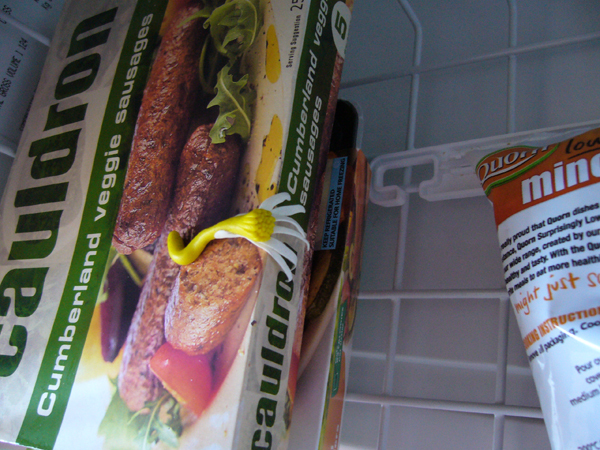 Pic 3 – Half made daisy in the freezer. 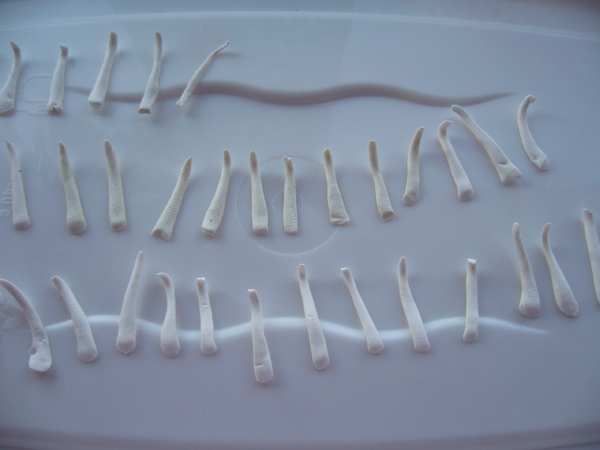 I found freezing it was helpful as my hand and desk lamp made the clay a bit too soft. I made the yellow middle by rolling small yellow sausages and laying them all together. 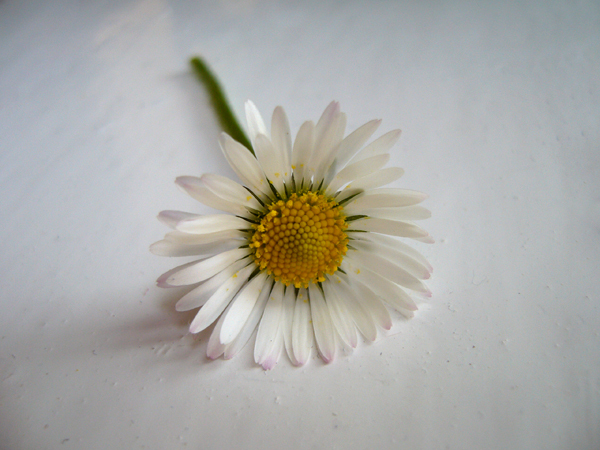 Pic 4 – The final daisy. Baked for 25 mins at 130 degrees celsius. Inner of the daisy petals tinted with green acrylic paint and whole thing sealed with acrylic painting matt varnish.